James Carl Boles obituary. Carnes Funeral Home. 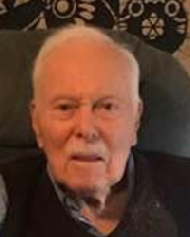 James Carl Boles, 90, of Yoakum, Texas, passed away April 10, 2019 at his home. He was born January 28, 1929 in Fayetteville, Arkansas to Ashleigh Pannel Boles and Alicia Johnston (Read) Boles. At a young age, he and his family moved to University City (St. Louis), Missouri, where he graduated high school. He attended Washington University in St. Louis, then transferred to the University of Missouri in Columbia where he graduated with a Bachelor of Arts in Economics degree in 1951. He served in the United States Navy Reserve after college, and was commissioned LTJG after Officer Candidate School in Newport, RI, and then served as Executive Officer aboard the USS General C. C. Ballou during the Korean Emergency, transporting troops and refugees. After returning to civilian life he began his lifelong career of Petrochemical Sales with Monsanto in St. Louis. He transferred to Houston, Texas in 1957, and was awarded their coveted Salesman of The Year award. He worked for Texaco, Chemical Exchange, and then his own company, James C. Boles Company, throughout the rest of his career, always finding solutions to benefit his customers. Jim married the love of his life, Peggy Jo Fulcher Girouard, after a 20-year plus courtship, on May 4, 1996 in Houston, Texas. Together they shared the joys and their blended lives with Peggy’s mother Zora, and her children, Rick and Linne, and Jim’s brothers, Read and Bill, his sisters Marie and Libby, and his children, John, Dial, Alicia and Elizabeth. Jim and Peggy loved to travel, and took many trips over the years. They especially enjoyed all of their grandchildren and others that they took in and helped along their journey. They were blessed and have left a hole in each person that they touched. Jim was preceded in death by his parents, his brothers Clifford Read Boles and William Ashleigh Boles, his sisters Elizabeth Alicia “Libby” Boles and Emily Marie Boles Tindall and his wife, Peggy Jo Fulcher Girouard. He was survived by his children, John Hamilton Boles of Houston, Alexander Dial Boles and his husband Dillon Locke of Yoakum, Virginia Alicia Boles Elwood and her husband Michael Elwood of San Antonio, and Judith Elizabeth Boles Moy and her husband Isidore Moy of Floresville, Jo Linne Girouard, and Richard Ernest Girouard, Jr. and his wife Marlene Girouard, by his grandchildren, Taylor Michelle Boles, Brett Ashley Boles-Carlet and her husband Greg Carlet, Stephanie Austin Boles-Lin, John Camron Boles, Shanna Leigh Coulson-Golden, Anthony James Moy, Ashley Rene Girouard, Autumn Espinosa, Lilieth Garrison, Lisseth Martinez, by Great-Grandchildren Hailey DeNicola, Joey Carlet, Aidan Carlet, Jack Carlet, Norah Carlet, Kylie Lin, Xander Lin, Isaiah Eberl, Emily Eberl, and Aubree Eberl, Tyler Golden, Bailey Golden, Coulson Golden, by nieces Sarah and Janie, nephews John, Read, David and Andrew, and a host of friends and relatives, far and wide, including his new friends from his last home in Yoakum; Dan, Carlos, Eva, Betty, Lorene, and Gladys, all who miss him greatly. Jim donated his body to Baylor Medical School, thus there will not be a funeral service. A memorial service is planned for May 11, 2019 1:00pm at 106 Coke Street, Yoakum, Texas. In lieu of flowers, please make a donation to a cause of your choice.